As the leaders in glassware innovation, Zenan has a responsibility to provide their clients with the best options available for their needs. When existing options don’t meet client needs, Zenan takes glassware innovation to a whole new level. They can create new custom glassware designs and packaging designs from concept through to design and production, all on site! Zenan’s in-house industrial designers and marketing team will assist in the development of your perfect glass. Using the principles of their trademarked Flavour Discovery, they ensure your new glass will showcase the very best in the beer you serve and enhance the subtle flavours and aromas that makes your beer unique! Once your new custom glassware design is complete, they offer low minimum orders, free storage, incredible pricing and the great client care and service Zenan is famous for. If you are looking to have a glass or glassware packaging designed for your company, please contact Zenan today! PROJECTS – Zenan has the opportunity to work on many unique custom glassware design projects with a variety of clients. 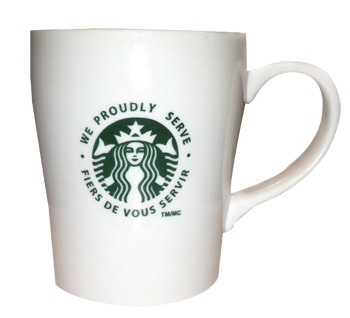 From a Starbucks mug to a custom Michael Jackson ONE glass for Cirque Du Soleil, each project is unique and customized based on the client’s needs and desires. Proud suppliers to the Canadian Cirque du Soleil company. 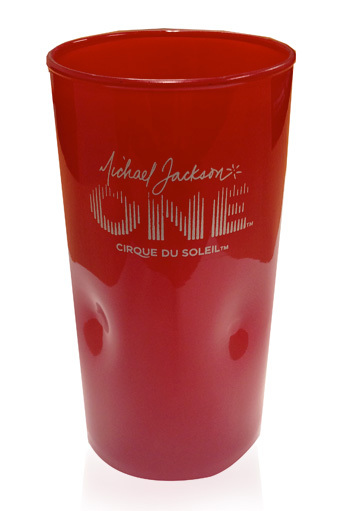 Our glassware is an exclusive product created for the new Michael Jackson’s ONE, Cirque du soleil show debuting in Las Vegas. This mug was produced in our East Palestine facility exclusively for Starbucks. This was proudly decorated for a national Starbucks program, so enjoy your coffee knowing your mug has been made in the USA.